This husband-wife team have pooled in their individual, yet complementary, skill-sets, talents and strengths to take their experiential event management company, Seventeen Events, to where it is today. Seventeen Events provides unique experiences in every event they conduct, and helping them in this endeavor is FlexiBees consultant Ruchi Jain who has been working with the company as a Business Development professional for the past ~1.5 years as an integral part of the team. In a conversation with FlexiBees, Sourav Mukherjee and Archana Shivanandan Mukherjee, co-founders and Directors, Seventeen Events, speak about how they set up their venture, their growth journey and how FlexiBees has helped them overcome the staffing challenges by tapping into a wider talent pool through its flexi-hiring options. Sourav: I was born and brought up in the beautiful hills of Shillong and was interested in sports and creative work right from my school days. I moved to Pune for my post-graduation after completing my Bachelor’s degree in Physics. That was when I found out about an event management course and I jumped at the opportunity. I worked for an event company for about a year before starting my own business with a friend from college. While the business was good, opportunities in Pune were limited. Hence, after marriage when Archana, my wife, wanted to move back to Mumbai, I felt that it was the right time to play in the big league. While I set up the business for the first three years in Mumbai, Archana worked at Hindustan Unilever. We then decided that Archana would join me to help scale the business to new heights. Any partnership – whether a marriage or running a business, is about bringing your individual strengths to the table and working as a team. So, how is it working with each other and how do the two of you distribute responsibilities within Seventeen Events? Archana: Sourav and I are a really great team, both as a couple as well as business partners. We have complementary skill sets which help us bring different strengths to the table. Sourav is incredible with people and sales, he has great negotiation skills and an extraordinary ability to keep calm even under the most stressful situations. He brings 15 years of event management experience to the table and hence he handles the client facing services such as sales, client servicing and production. I bring 12 years of experience to the table, out of which more than eight are in FMCG marketing, with the latter part of that focused on digital marketing. I understand what brand managers are looking for and that’s a big plus for our clients. I also have the experience of running large brands. Hence, I look after marketing, P&L and growth plans, finances, accounts, tax compliance, HR and all other administrative activities that a start-up needs. So, could you tell us about how your growth journey has been? Archana: It has been a challenging, yet exciting journey. When I joined in 2013, we were a one-person organization doing a small set of events with a few clients in Mumbai. Over the years, we have grown to a 15-member strong team in Mumbai and now have over 50 large clients, that include Vodafone, L’Oreal, Ernst & Young, Hindustan Unilever, Merck, Diageo, JP Morgan, etc. And what was the biggest challenge that you had to face as a startup? Archana: Finding and retaining the right talent has always been a challenge for us. The event management industry in India faces a shortfall of trained talent. This challenge is exacerbated by rising payroll costs reaching 19 per cent of the total costs (As per industry report by EEMA in 2017). To overcome this problem, we have had to explore a number of creative solutions. We have tried everything from hiring freshers and training them ourselves to incentive plans and bonuses. As an experiential event management company, what would you say is Seventeen Event’s USP? Also, what do you consider while tailor making events for clients? Digitally Integrated Events: We specialize in creating digitally integrated experiences and maximize every event’s potential using the latest data and tech. ‘Digital’ isn’t just an afterthought for us, it plays a big role in how we approach every event. We can engage not just the immediate audience, but a large, yet relevant audience across the country, leveraging the social media presence of the guests. Team Building: We are also a team building company, we understand teams and we also understand the importance of audience participation in any event. We provide a wide range of team building activities that can address any challenge/ problem in our client organizations. You would have conducted so many events till now, but is there any particular one that you feel has been especially memorable? Sourav: Last November we did an event for Merck India where true heroes from our society, people who do ground level work and don’t get any recognition, were felicitated. Four such people were brought to Mumbai from across the country and honored in front of a large audience, which included celebrities. The venue was the Bandra Fort with the Sea Link as the backdrop for the event. Pulling off the event in such an iconic location and the emotional nature of the event made it a truly memorable one. You have been working with FlexiBees for a while now, so how did you get to know about them? How has your journey been with them? Archana: One of the founders of FlexiBees, Shreya Prakash was a colleague at Hindustan Unilever. We left to start-up our own companies at nearly the same time. So, we naturally explored the possibility of any synergies between us. Our journey together has been excellent. Right from when Shreya explained the concept to us, we intuitively knew that this model would work very well for us. We needed someone for Telesales, but not the usual under-trained call center employee. We needed a higher quality resource with proven sales ability. We did not really mind the part-time working hours or the working location, as long as we got the desired output. FlexiBees were able to get involved deeply with our requirements and provide us with a perfect fit. Ruchi Jain is now an integral part of our team and a valued, contributing member of Seventeen Events. What can you say is the biggest benefit with working with FlexiBees been and what benefits do hiring flexible talent give to startups like yours? The biggest benefit is that we have reduced on overhead costs, which is always a challenge for any start-up. We have struggled a lot to find high-quality resources that work well within our budget. And going forward, what is the kind of growth that you foresee for Seventeen Events in the future? Sourav: We are looking for steady, organic growth for the company by providing client delight and getting a 5-star rating at each event that we do. We are confident that our unique ideas and digital backbone will help our clients get more out of the events that we do for them. 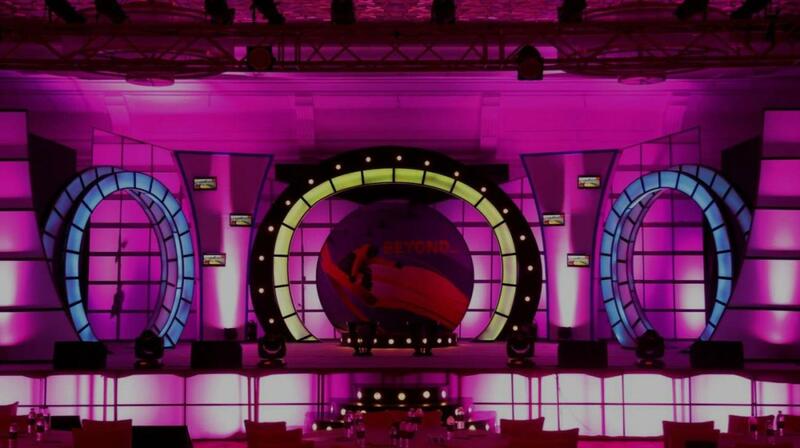 We are trying to re-define the way event management companies are seen by clients in India. FlexiBees wishes Sourav and Archana a great future as Seventeen Events continues its journey of helping clients create unique experiences and creating a niche for themselves. FlexiBees has provided companies, both startups and established players, with part-time talent for many projects and roles; across a variety of functions & skill-sets like Marketing, Digital Marketing, Public Relations, Investment Banking, Inside Sales, Business Development, Technology, Content Writing, Graphic Design, etc. All these companies have benefited by being able to hire high quality talent at pricing optimised only for the hours of work they need. Many of these have converted to ongoing roles (also part-time) with everyone being satisfied with the arrangement. So if you have a job requirement, take 2 minutes to fill our form and we will get back pronto. 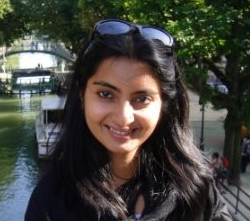 Gayatri Vinayak is a writer and editor who contributes regularly for Yahoo India! and other websites and magazines. When she is not in front of her laptop analysing news and creating smart content, she can be found building Lego construction sites with her four-year-old son. © 2018. FlexiBees Business Services Pvt. Ltd.